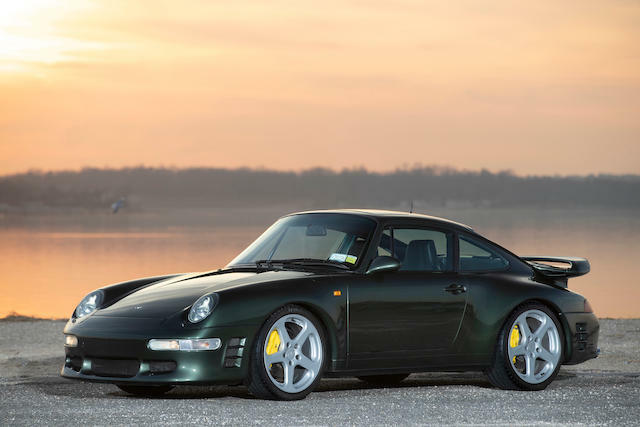 Eye-catcher of the Bonhams Auction in Amelia Island when it comes to Porsche is probably the 1996 RUF Porsche Turbo R ( see featured image of this article). A RUF Porsche is a rare bird on its own. Add to that that this particular one was built for a member of the Porsche family and you know this is a true rarity that comes on the block. The 1996 RUF Turbo R has only 36,000 miles on the counter. This low mileage, and the provenance might make this car subject to heavy bidding. We are curious about the other RUF in the Bonhams Auction at Amelia Island. The 1984 RUF Modified Porsche 911 RSR is a one-off modified by RUF. Upon delivery, the new owner/collector immediately desired to increase the performance of his 911 and soon called upon Tore Johnson, the U.S. RUF importer and builder in Long Beach, California, to upgrade this new Carrera 3.2 to RUF BTR specification. After that, the car was sent to Alan Johnson in San Diego. Johnson was contracted to craft an alloy body for the BTR inspired by the Porsche 935. Today, t the chassis has covered less than 10,000 miles since its delivery in 1984. The RUF RSR been in constant development since new to become the highly developed and powerful road car that it is today.